The determination of the best reference gene is essential to improve and guarantee the accuracy of the qPCR technique. 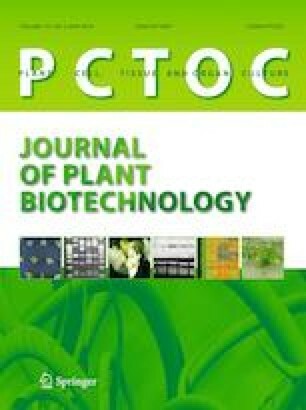 Thus, the objective of this work was to evaluate the normalization genes efficiency for qRT-PCR studies of Pfaffia glomerata, a species with marked medicinal and industrial interests due to the production of the phytoecdysteroid 20-hydroxyecdysone (20-E). We have selected four candidates as reference genes in P. glomerata: elongation factor-1α (EF-1α), glyceraldehyde 3-phosphate dehydrogenase (GAPDH), spectrin-like (SPT) and α-tubulin (TUA), and tested their expression stabilities as affected by abiotic factors (salt stress, drought stress, irradiance, photoperiod and CO2 enrichment), using the following methods: NormFinder, geNorm, BestKeeper, ΔCt and RefFinder. Also, the Phantom gene, which belongs to the 20-E biosynthesis pathway, was targeted to validate the most stable reference gene for each abiotic factor. The GAPDH was the most stable gene under all assessed abiotic factors, as well as the most stable when data from all experiments were taken together, which was confirmed by all the software used. The use of more or less stable reference genes for normalization significantly changes the interpretation of the qPCR data, evidencing the importance of choosing the most appropriate housekeeping gene for each expression assay. Based on our results, we recommend GAPDH to be used for normalization of qPCR expression data in P. glomerata in diverse abiotic conditions. This work is the first report on the validation of reference genes in P. glomerata and will be fundamental for further gene expression studies in this important medicinal species. GAPDH is the most stable gene to be used for the normalization in qPCR analyzes in [Pfaffia glomerata (Spreng.) Pedersen] under the different abiotic factors. Communicated by K. X. Tang. The online version of this article ( https://doi.org/10.1007/s11240-019-01606-6) contains supplementary material, which is available to authorized users. The authors thank the Brazilian sponsoring agencies, CNPq (Conselho Nacional de Desenvolvimento Científico e Tecnológico, Brazil), FAPEMIG (Fundação de Amparo à Pesquisa do Estado de Minas Gerais) and CAPES (Coordenação de Aperfeiçoamento de Pessoal de Ensino Superior), for financial support. DSB, SHSF, EAF, TDS, KC and EL conceived, designed and performed the experiments; DSB and VSM collected and analyzed the data; DSB, VSM, MGCC, and WCO contributed to the design and interpretation of the research and to the writing of the paper. All authors read and approved the manuscript.